Some people are genetically at greater risk of HIV infection than others. The first genetic mutation associated with HIV susceptibility was identified in the mid-1990s. 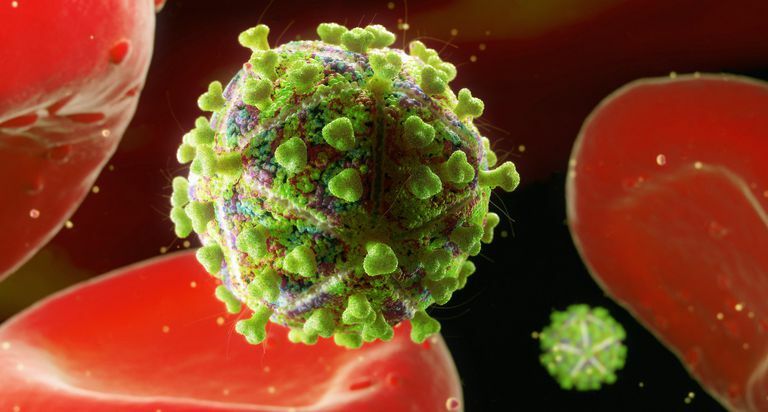 Known as the CCR5-Delta32 mutation, it seems to confer strong resistance to infection by HIV. This gene mutation is found most commonly in certain European populations. That is possible because it was also associated with resistance to other diseases such as smallpox or the Bubonic Plague. In early 2009, a paper was published announcing that another genetic mutation may also confer some level of resistance to HIV. This mutation affects the level of expression of a protein known as Pk. Pk is found on the surface of several types of blood cells. In particular, it's found on a wide range of cells that are susceptible to HIV infection. This small study found that cells with high levels of Pk were significantly harder to infect with HIV than cells with no Pk. The same scientists have also published a study showing that individuals with a condition (Fabry's disease) that increases their levels of Pk seem to be resistant to one type of HIV. Interestingly, this genetic resistance has played an important role in functional cure research. The case of the Berlin patient involved a man who was given bone marrow cells from someone with the CCR5 mutation. Combined with antiretroviral treatment, this therapy seems to have eradicated the virus from his system. Virus even seemed to have been eradicated from his viral reservoir. Note: The 2009 study has been heavily publicized as saying that your blood type can protect you against HIV. Pk is a way of typing blood. However, it is not commonly used and not part of either the A/B/O or Rh typing systems. Furthermore, the study in question only looked at in vitro susceptibility and their earlier study in people only found resistance to one type of HIV. Therefore it is important not to overstate the results of the study. It seems likely that people with mutations that increase the amount of Pk will be more resistant to HIV than people with lower levels of Pk. This information may potentially lead to new types of HIV therapeutics. However, to say that blood type can protect against HIV infection is grossly premature. Galvani AP & Slatkin M. "Evaluating plague and smallpox as historical selective pressures for the CCR5-Delta 32 HIV-resistance allele." Proc Natl Acad Sci U S A. 2003 Dec 9;100(25):15276-9. Lund N et al. "Lack of susceptibility of cells from patients with Fabry disease to productive infection with R5 human immunodeficiency virus." AIDS 2005; 19: 1543-6. Symons J, Vandekerckhove L, Hütter G, Wensing AM, van Ham PM, Deeks SG, Nijhuis M. Dependence on the CCR5 coreceptor for viral replication explains the lack of rebound of CXCR4-predicted HIV variants in the Berlin patient. Clin Infect Dis. 2014 Aug 15;59(4):596-600. doi: 10.1093/cid/ciu284. How Can HIV Lead to Premature Aging?